Have you ever wanted a smartwatch that only kept you informed on one thing? No, not your health and fitness, silly. Something like, say, your preferred sports team? No? Well, it's happening anyway. The Fantom is billing itself as the first smartwatch "only" for football fans (or soccer to US folks), because non-fans don't understand your intense need to know the minutiae of your dearest club. Step aside NFC payments and heart rate monitor, and pretty much everything else. The Fantom is partnered with a host of soccer clubs around the world to provide you information direct from the source, the club itself. No need for any pesky analysis or breaking news from the bias mainstream sports media. You'll get live match info on your wrist, match time during the game (even if you're not there), a this-day-in-history feature for reliving past glories, and be able to vote on things like man of the match and "club topics." The standout feature is the Fan Finder, which is being billed as "spider sense for football fans." It sounds like when someone who also has a Fantom is around you, and likes the same club, the Fantom will alert you. Then you and your new buddy can talk and rant and watch games together. Clearly useful for the times you're not online in dedicated fan forums or subreddits, at a sports bar or at a game itself. You never know whether you'll be out buying milk and, as if touched by the football gods themselves, you gain extraordinary clarity on why Neymar will bring Paris St. Germain success. You must discuss it at once. 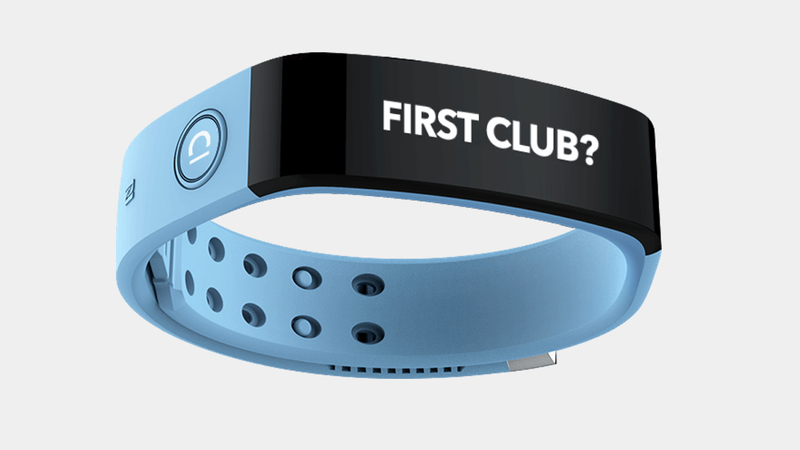 You can get the band in either your club's colors or a simpler black if you'd rather not wear your pride on your wrist (or you plan to switch clubs when things get bad). Currently, Fantom is showing off the Manchester City version. You can get them for pretty much every team in England's top league, and some of the more popular teams from Germany, Spain, France, Italy, and Portugal. There's also a handful of teams from less popular leagues, like MLS, Russia, Greece and more. There is no word on price yet, but it'll release in October. Real fans get their smartwatches a quarter into the season. There is potential in this idea, but it would require teams to give these away for free to season ticket holders and adding stadium-specific things, like payments and food delivery. Maybe even being a key to your suite, if you can afford one. Right now though, this is just far too niche.